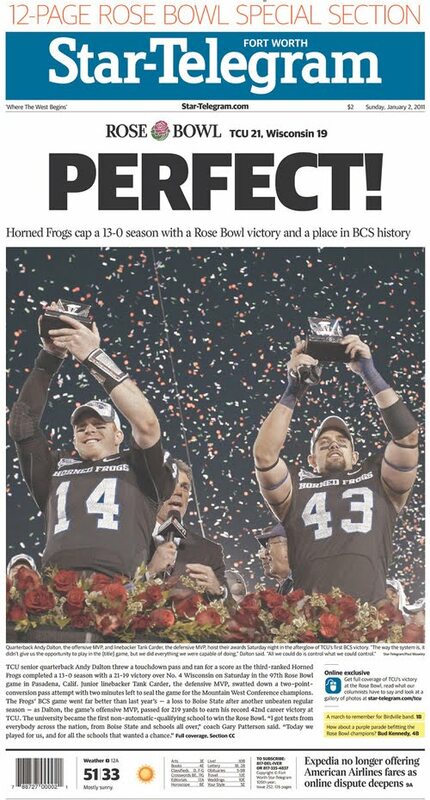 A look at how the Bowl Championship Series title game was played on front pages of newspapers. Click an image for an enlarged view. 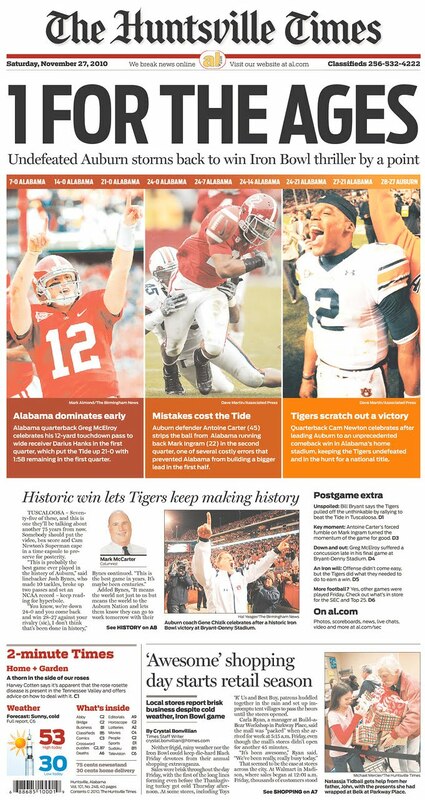 A look at how the New Year's Day bowls were played on front pages of Sunday's newspapers. Click an image for an enlarged view. 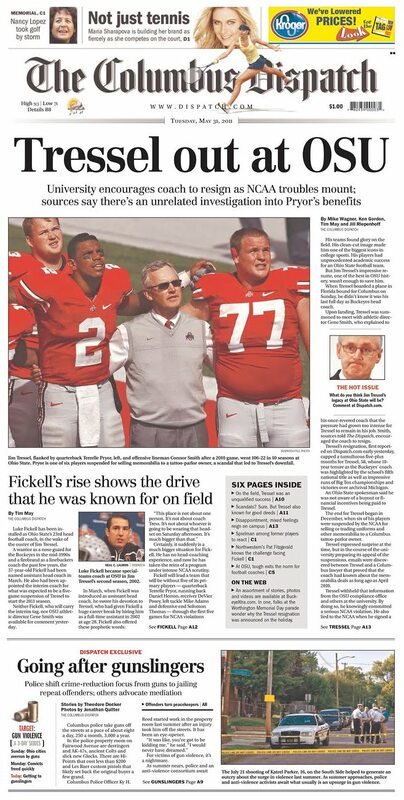 A look at how college football news was played on front pages of Sunday's newspapers. Click an image for an enlarged view. 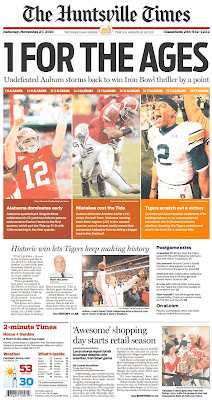 A look at how college football news was played on front pages of newspapers this past weekend. Click an image for an enlarged view. That's Adam Nettina on the left, taking on Boise State safety extraordinaire Jeron Johnson in arm wrestling. Who is Adam Nettina, you ask? 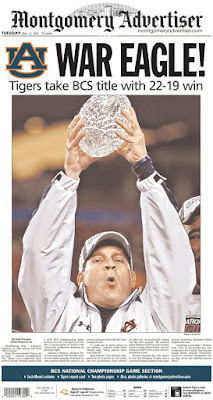 He's the sports editor at the Statesman, Utah State's student newspaper. Nettina, all 5-foot-5 of him, made his way from player to player at last week's Western Athletic Conference media days and challenged them in arm wrestling, thumb war and rock, paper, scissors. Then he wrote a column about the experience and posted a must-see video. Nettina writes: "Fifteen athletes, a bunch of reporters, and one valuable life lesson. Some of us may go onto superstardom, some to distinguished careers, and some to ordinary yet productive lives with ordinary families and ordinary jobs. 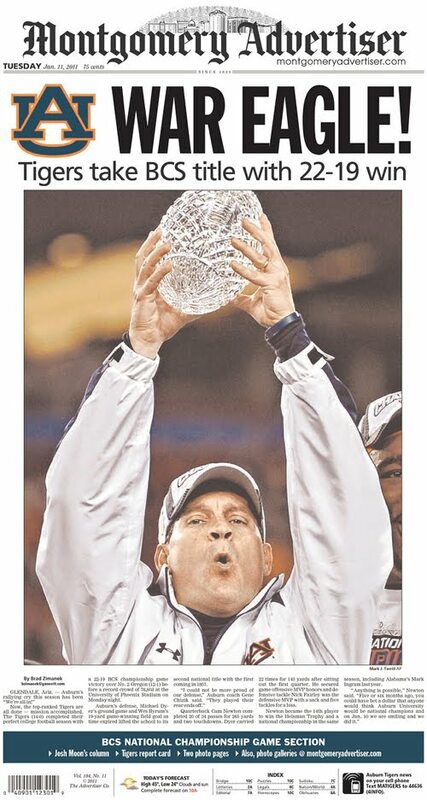 But at the end of the day, even college football superstars like [Nevada's] Colin Kaepernick and [Boise State's] Kellen Moore aren't so different from young writers like me. Transitioning from one stage of their lives to another, they linger on between youth and adulthood, and relish the chance to spend one more day as kids like us."